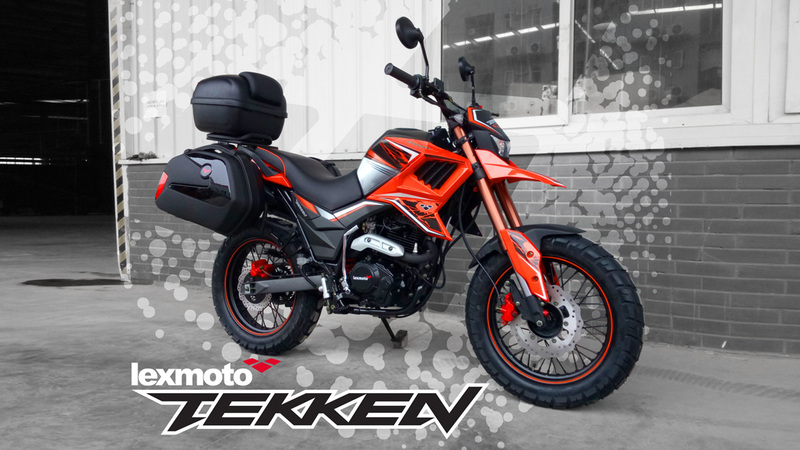 We recently announced on our Facebook page that the new Lexmoto Tekken had entered production and would soon be available to order from one of our dealers nationwide. We also introduced the optional add-on of the Tekken luggage boxes. With two large, side panniers and a top box, the luggage set is perfect for those that need to carry extra kit on their adventures. To find out more and to place an order, speak to your local Lexmoto dealer. * Strictly on a first come first served basis. Automatic application, no proof of purchase required. No confirmation of offer application will be sent. Decision of the Directors' is final.